While there is still a place for undifferentiated mail, marketers are increasingly moving toward what we might call “smart mail.” These are mailings that are more targeted and more relevant to the intended audience. 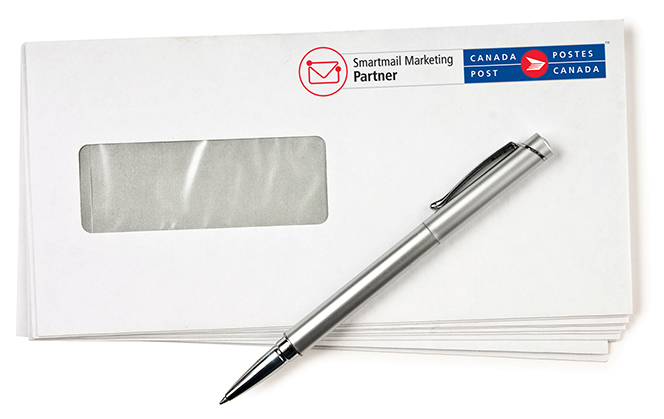 Smart mail can take a number of forms. Segmenting: This involves taking an existing list and breaking it up into broad demographic or psychographic groups. You might speak to women differently from men, singles differently from marrieds, and those with children differently from those without. Although there will be variation within each demographic, there will be a number of shared characteristics that enable you to target the message. Targeting: Rarely will you need to target your entire database at once. Instead, try selecting out target groups based on the goals of the campaign. You may select out your best customers for a special discount, for example, or promote certain products to key geographic areas based on anticipated weather conditions. Personalizing: The ultimate in targeting is speaking to each individual by name and creating the message based on what you know about that person. A good example is travel companies offering personalized travel recommendations based on trips their customers have taken in the past. Trigger-based mailings: These are mailings that are automatically generated based on some external event. For example, automotive dealers often send mailings promoting trade-ins in advance of the expiration of a customer’s lease or encouraging customers to come into the service department at the time their car’s mileage is expected to hit a certain point. As you plan your marketing strategy this year, think about marketing smarter, not harder. "Contact Printing has been the primary supplier for all our print needs since our company’s inception in 2007. As a graphics company we rely heavily on having a reliable, local source for quality printing. I consider Dave and the Contact team to be key players in our business success. They are truly committed to customer satisfaction and are heavily involved in the local community. I would not hesitate to recommend Contact Printing to anyone looking for professional service, quality production and orders that are delivered on time." Julian Wooldridge - President TAP Graphics Ltd.
It’s simple. Just press the blue button and follow the directions. You can upload all kinds of projects from stationery and brochures to catalogs and business cards. Let’s get printing! ©2019 Contact Printing and Mailing Ltd. All Rights Reserved.